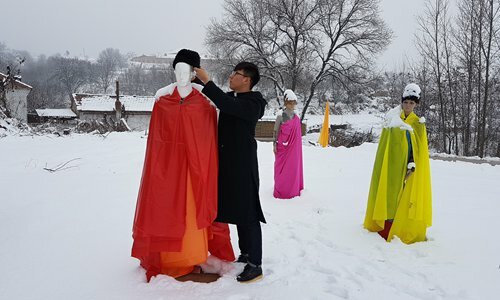 While consumerism permeates China's shopping malls festooned with Christmas lights and holly, Lintou village in Jinzhong, North China's Shanxi Province is preparing itself for a white Christmas true to its character. Lintou is one of the dozens of villages in the province where most residents are cradle-to-the-grave Catholics as the faith was brought to Shanxi around four centuries ago. Like countless other Chinese villages, Lintou has suffered an exodus of young people who migrate to cities for jobs. In some places, elderly people move in with their urbanite children and villages are abandoned. The elderly residents of Lintou, however, are reluctant to leave their homes as they want to remain close to the century-old Immaculate Conception Church, which survived the Cultural Revolution (1966-76) by serving as a granary. 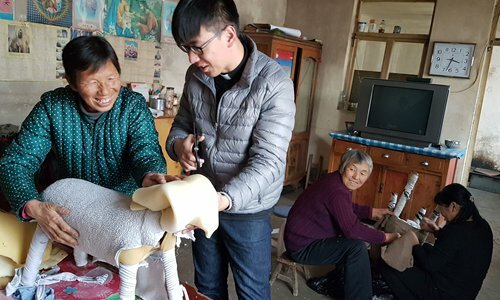 Bosco Han Bo, a 29-year-old priest, is the only young man in the village who has bucked the trend of migration. 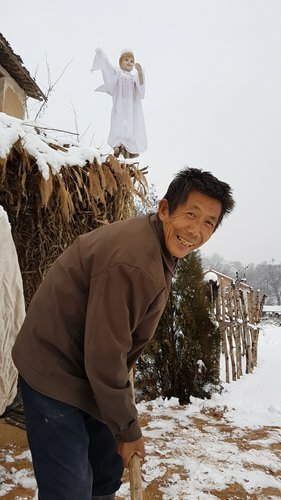 Father Han, a native of Taiyuan, Shanxi's capital city, joined the Lintou community after he was ordained as a priest this year. 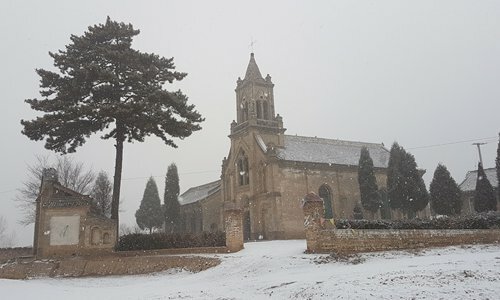 With their new priest, the villagers are celebrating Christmas like they never have before. 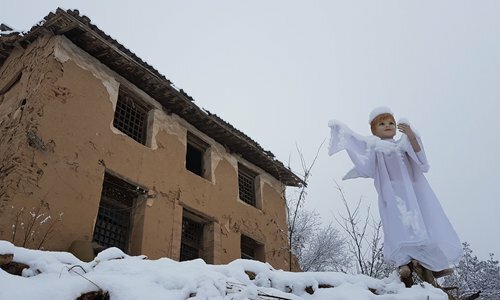 Villagers used to put up the Nativity Scene inside the church, but Han decided to install it in the open air, right at the center of the village this year. He first thought of making the holy family out of straw but the villagers insisted that everything has to look real. The young priest listened to his flock. He drove to town, bought some mannequins from garment stores and made a baby Jesus, Mary and Joseph out of them. The villagers were impressed. The young people of Lintou are all invited back to join a bonfire party by the Nativity Scene after evening Mass on Christmas Eve. Han has prepared a Christmas pageant for their kids "to pass the faith on to the next generation." For sure, they will know the story of the nativity by heart while most of their peers in the cities only know Santa Claus and think Christmas celebrates the birthday of Santa. There are reports that China and the Vatican are negotiating a deal on appointing bishops. The Chinese government doesn't recognize the pope's authority over the Catholic Church in China and some in the underground Church, which only swears loyalty to the pope, are worried that the Vatican may sell them out during the negotiations. These political dealings, however, seem to be non-existent in Lintou, which is awaiting their holy night as they have done for centuries.